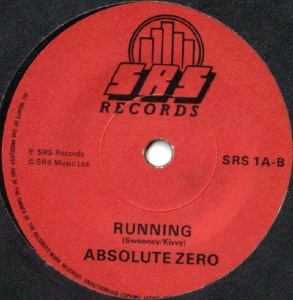 Absolute Zero in 1984, LR: Sean Sweeney, Martin Harte, Joe Hunt, Tommy Kivlehan. I have very little info about this quartet from Sligo, previously known as Reverb. "Accomplished modernist guitar group with a sackful of promising originals, You Will Fall in particular"--part of a review of the band's appearance at the Dublin Mega-Bash at the Ivy Rooms 29 August 1985 published in Hot Press. The reviewer goes on to criticise certain 'U2-isms' in their set, but such tendancies were rife in 1985. The SRS single is undated and though it has catalogue number "SRS 1" this doesn't making dating it any easier as the SRS numbering system is all over the place. But it's probably their debut, at a guess released in 1985, and it's reported to sound like the Flamin' Groovies (Sire era, presumably). The second A-side "You Will Fall" sounds like The Smiths while the B-side is more in the vein of The Cure's "In Between Days". Produced by Eamon Carr, who also issued it on his Hotwire label. 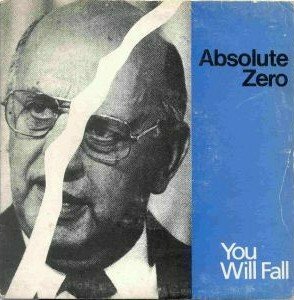 Absolute Zero played the 1984 Drumcliff Festival alongside Les Enfants, Toy with Rhythm and another Sligo band Those Nervous Animals. 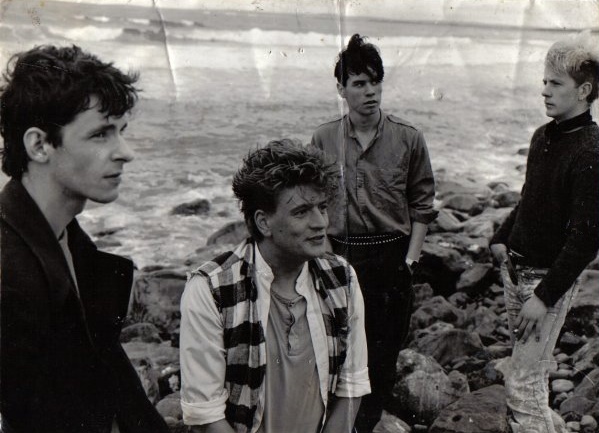 The core of the band continued as Sid & The Stonecrushers (1986), The Boy The Boy (1987-90), Diesel Heart (1991-94) and are currently called Indian (1995-). Joe Hunt later in Running Blind. Joe Hunt & Martin Harte now in Indian (formed 1995), who were also known as The Pink Spiders for a time. Indian attempted a certain kind of studied art rock, a bit like Television meets Lou Reed. When it came off it was excellent. 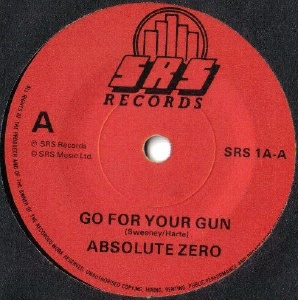 Martin Harte wrote solid lyrics, and in a way, Reverb, Absolute Zero and Indian were all vehicles for his songwriting. 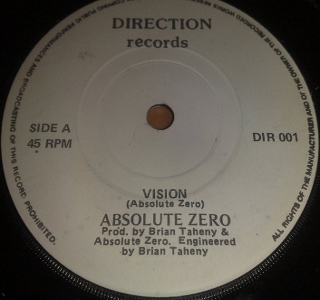 7" - Direction Records - DIR 001 - IRL - 198? - PS? Produced by Brian Taheny & Absolute Zero.